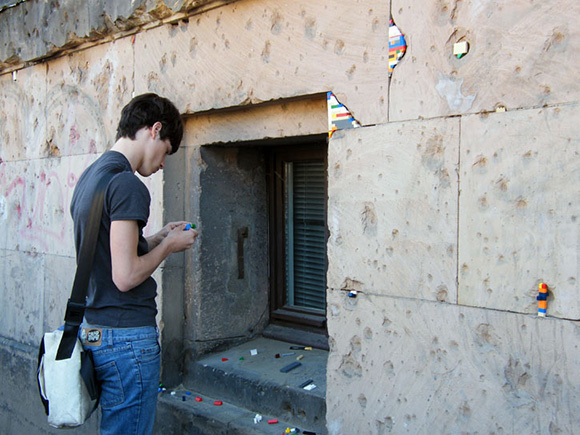 Jan Vormann fills up most holes that remained from the World War II in Berlin. 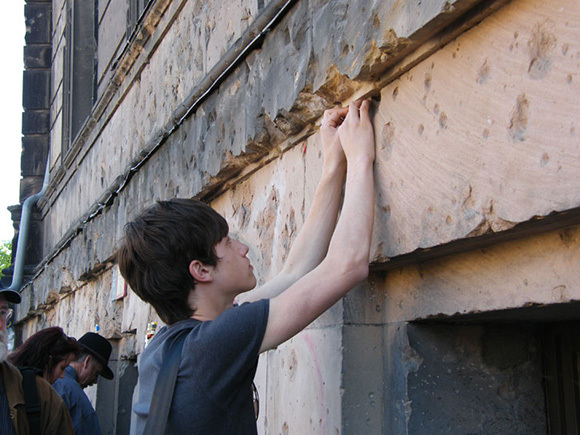 He did it before in Bochignano, Italy, a village close to Rome. 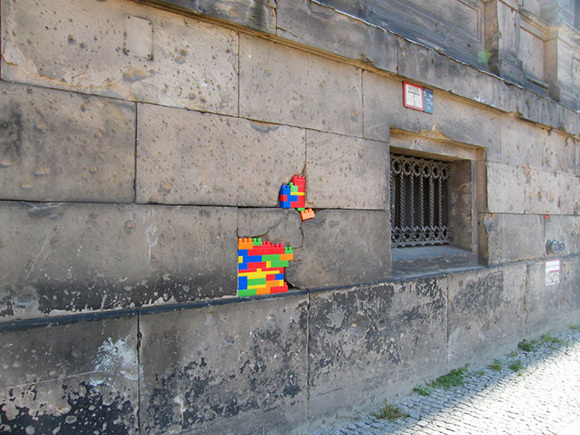 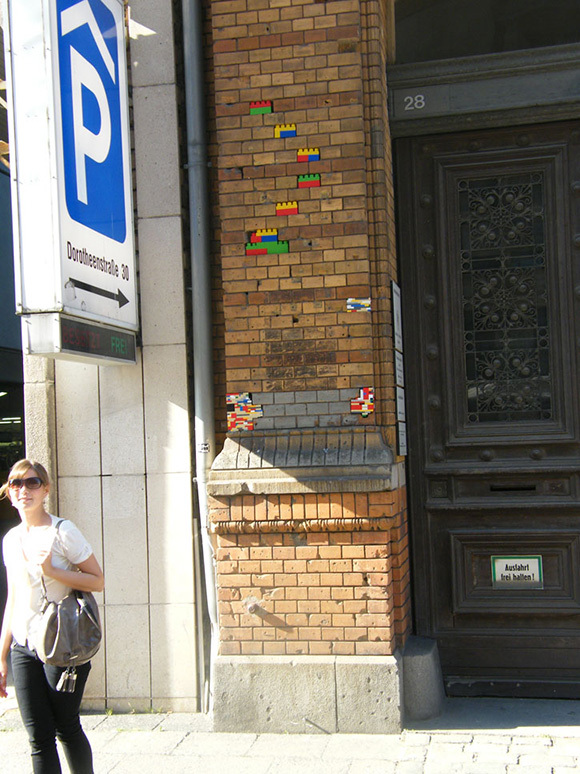 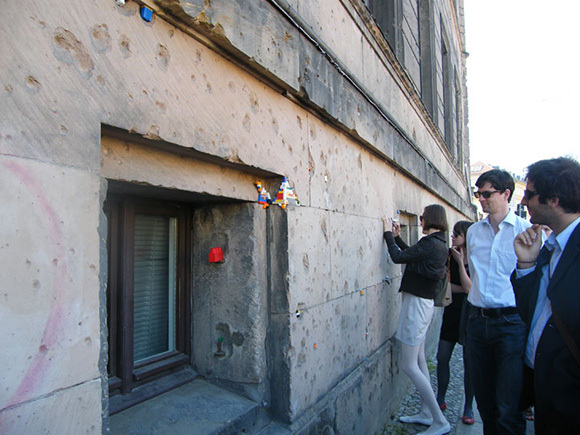 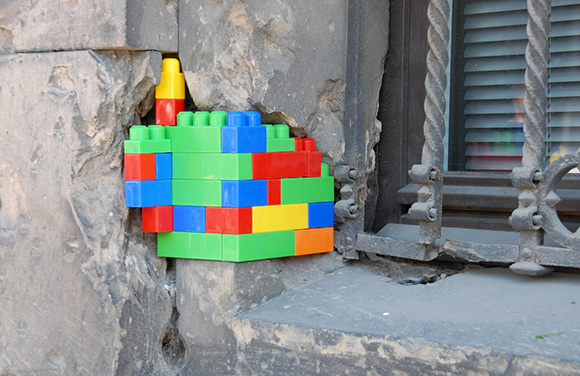 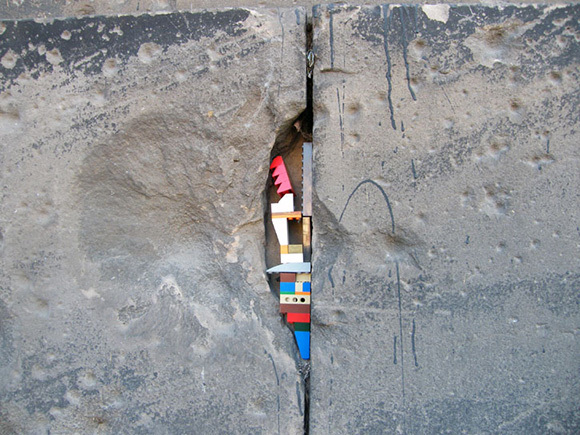 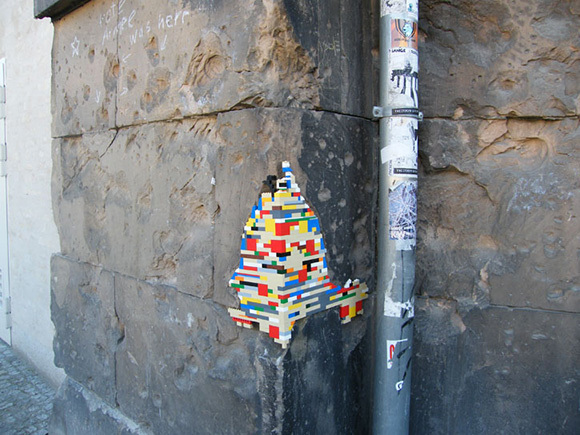 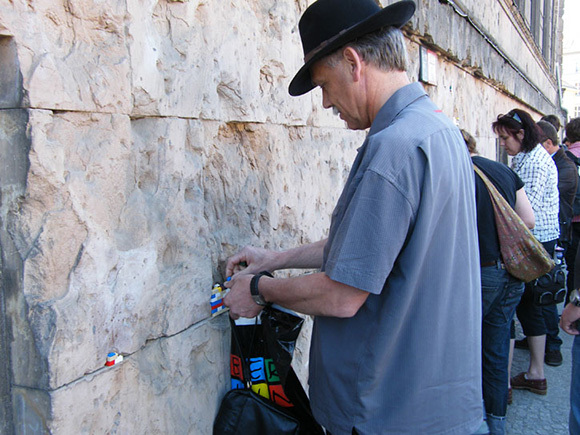 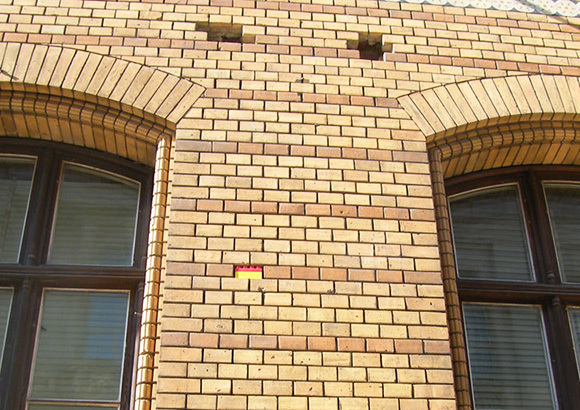 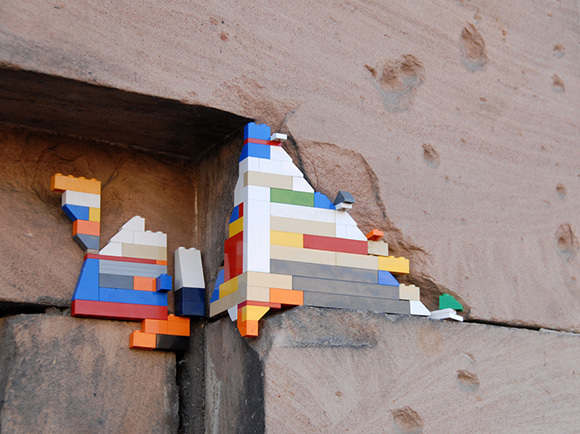 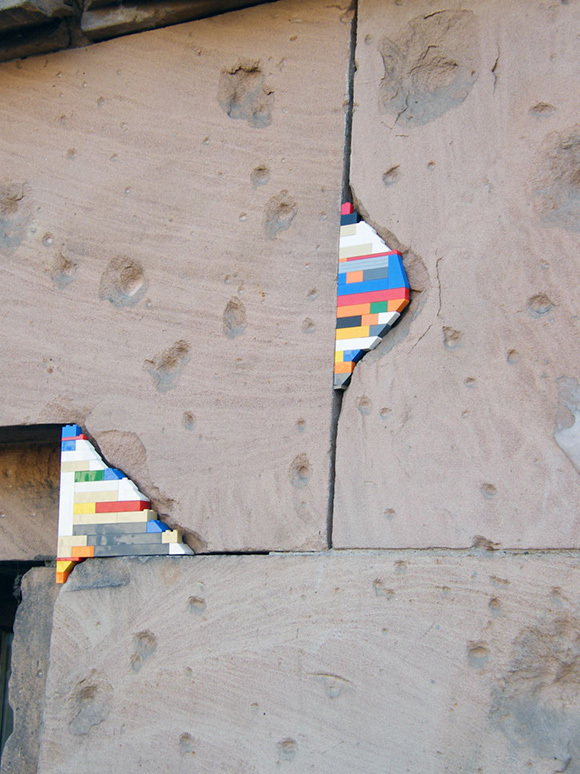 And now in Berlin many spontaneous people start helping him to fill the bullet holes with LEGO bricks at the building of Humbold University. 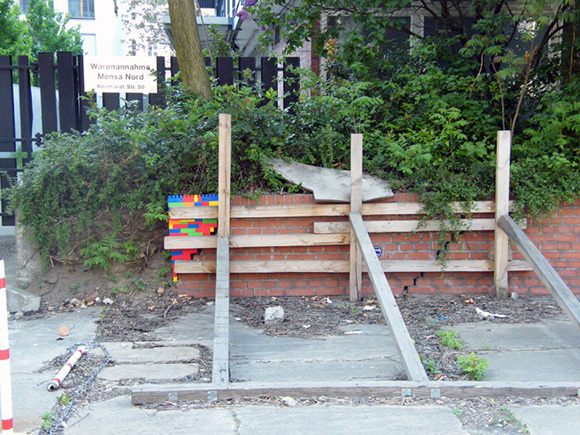 More pictures after the jump.